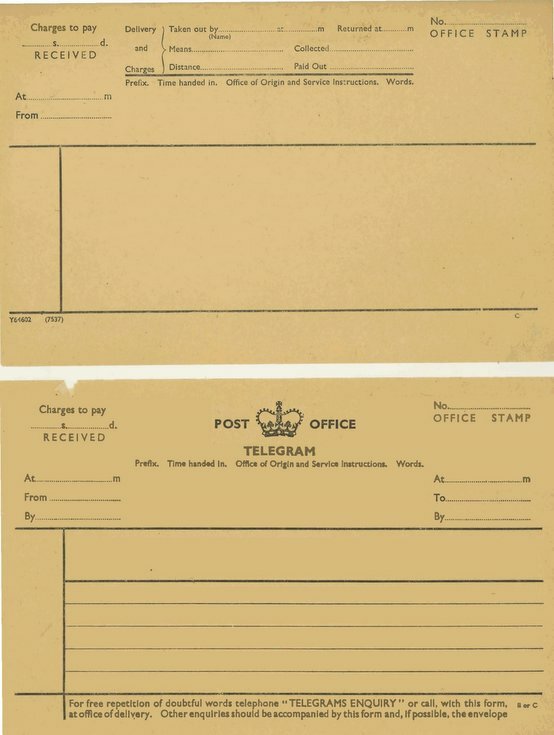 Bundle of unused GPO telegram forms, pre-decimalisation. This was in the old Dornoch post office while it was used as a tourist and admin. office by the Highlands of Scotland Tourist Board.